Though your blog is on the basis of Google blogging platform, you should submit your blog sitemap to Bing/yahoo to get your content indexed on those popular search engines. As a result you would be able to divert some traffic from Bing/yahoo search engine. For your information Bing and Yahoo search engines have integrated, so if you submit sitemap to Bing then yahoo search engine will automatically index your sitemap same as on Google Webmaster. This is like hitting two birds with one stone. 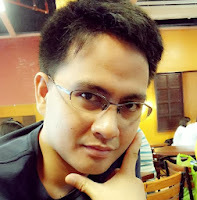 Yahoo merged site explorer into Bing Webmaster Tools with a partnership contract last Nov 2011. From then onwards webmasters were requested to submit sitemaps to Bing in order to expect quality traffic from both yahoo and Bing. Before proceeding to the submission proper, you must have an account with outlook/ Hotmail/ Live and have to sign up with Bing Webmaster Tools first in order to do this. 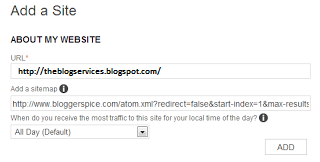 First you have to verify your blog by Meta Tag to submit the sitemap. 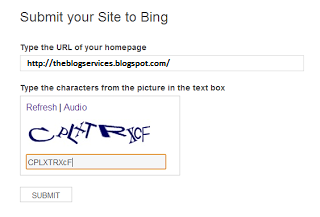 Before I tell you how to get blog posts indexed, let’s first learn how to submit blog sitemap in Bing. And I believe this is the first thing that you need to know in order to successfully get indexed in these search engines. Step 2 It will redirect to you like below page if you have account with outlook/Hotmail/Livethen you don't have to sign up again. 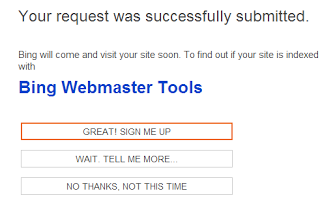 Replace www.theblogservices.net with your blog address before you submit your blog site map. HTTP Error: Status Code 404. We did not receive a 200 (OK) response when requesting your page. Please make sure the URL to your authentication file exist and try again.